What a week. 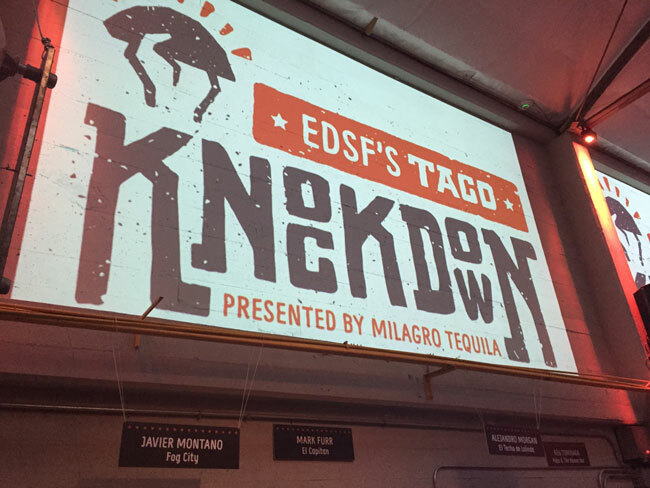 Three nights of Eat Drink SF fun starting on Thursday night with the Taco Knockdown. 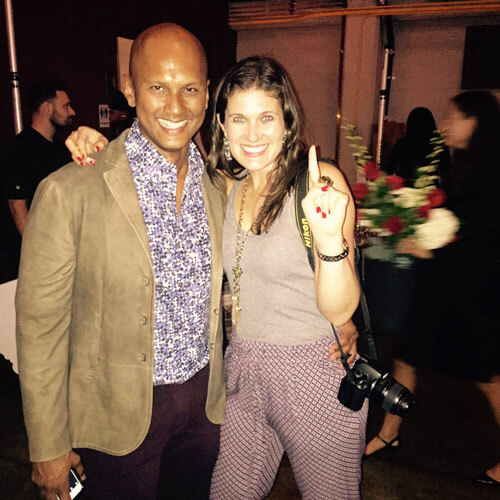 This was an awesome event that was new for 2015. 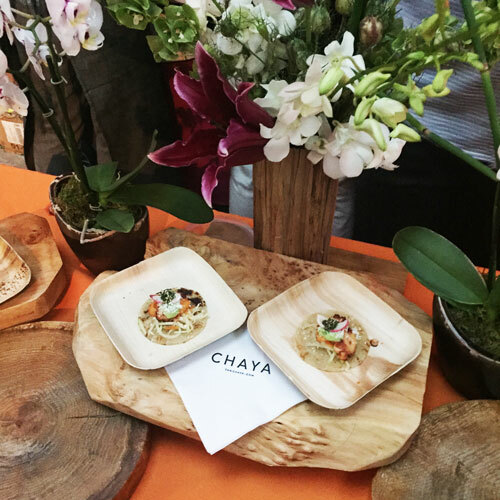 See more details on the event below and some of my favorite Bites, Drinks, and Chefs. Who won? 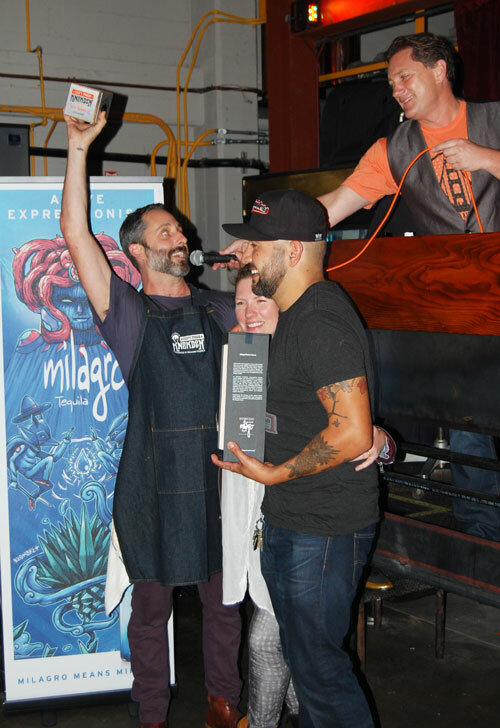 I’m not going to ruin the surprise so you’ll have to read below to find out the winning ‘People’s Choice” and ‘Best Overall” Tacos. 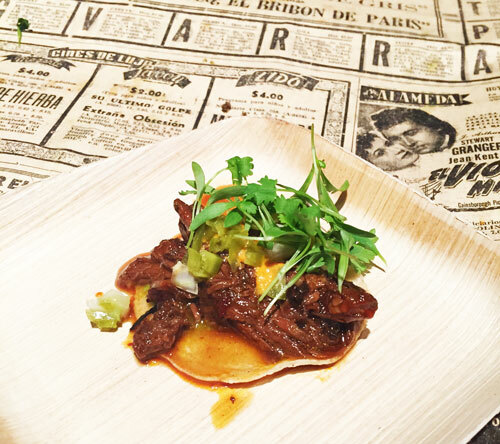 What is the Event: Watch top restaurant chefs compete in a creative battle for the “taco” title. 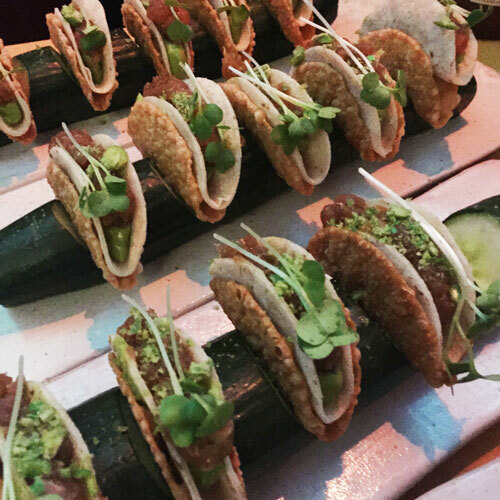 (Yes, “taco”. 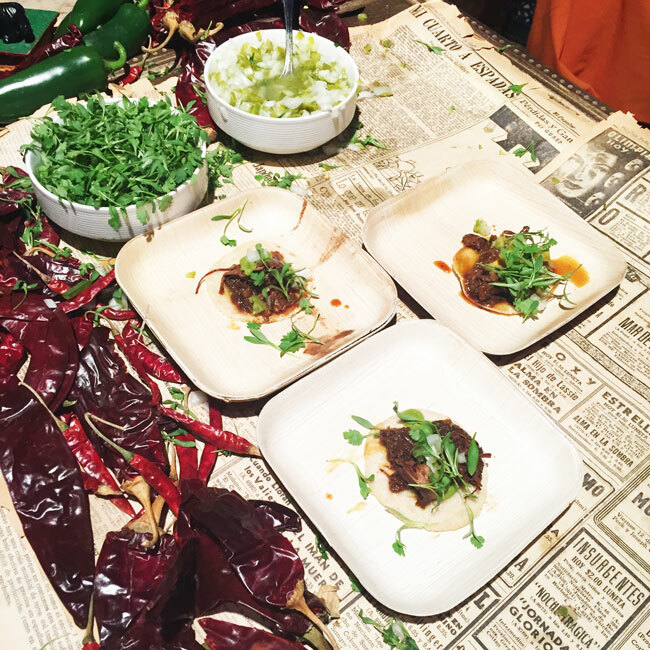 Think foldable food inspired by the legacy of the taco.) 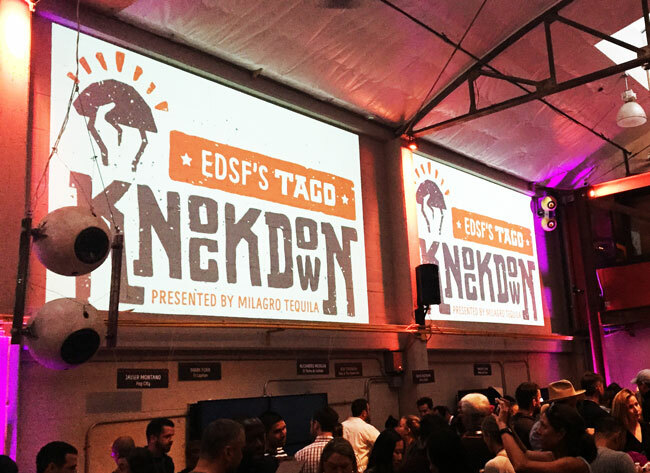 Tacos will be judged by a panel of experts with a grand prize awarded for ‘Best Overall’ and the crowd voting for a ‘People’s Choice’ winner. 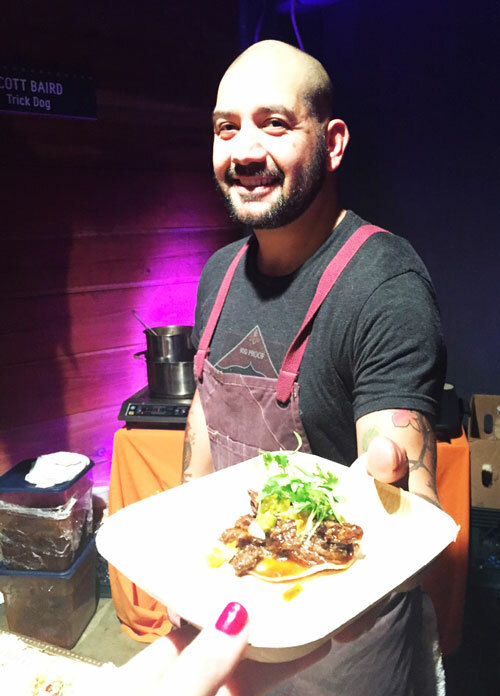 What Restaurants are participating: 17 Restaurants including Bacon Bacon, CHAYA Brasserie, Chez TJ, Coqueta, Delfina, Dirty Habit, Dosa, El Capitan, Fog City, ICHI Sushi, LA Chapter (Ace Hotel, Los Angeles), El Techo de Lolinda, Mekong Kitchen, One Market, PABU, The Ramen Bar, Trick Dog, and Uno Dos Tacos. 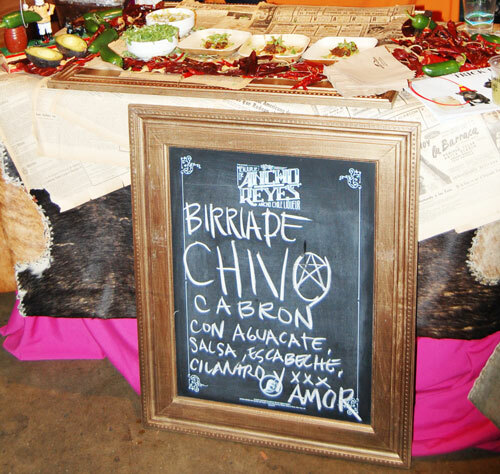 What is being poured to pair with these delicious tacos? 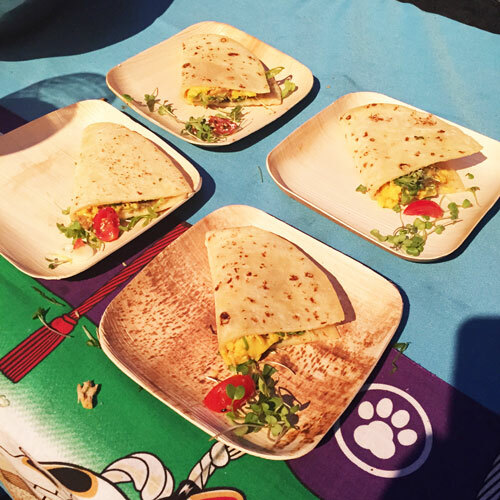 Congrats to Trick Dog Chef on winning Best Overall Taco. 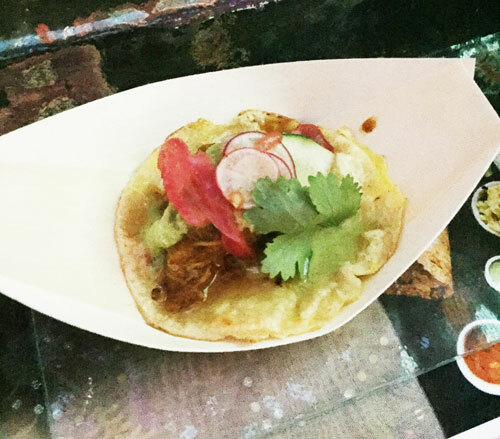 This Taco was divine, so good I need to plan a visit in to experience Trick Dog’s amazing food….. 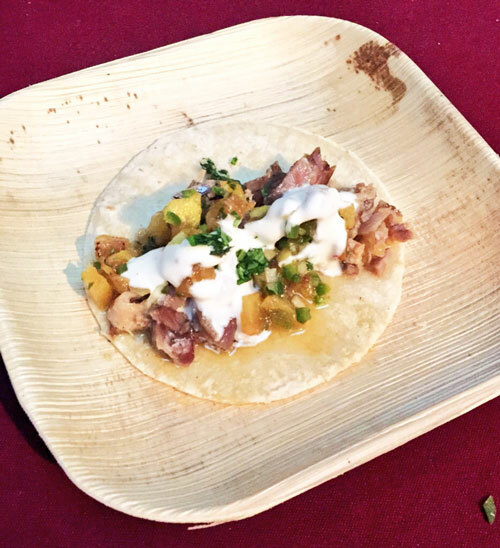 The winning taco. Kudos again Trick Dog!! 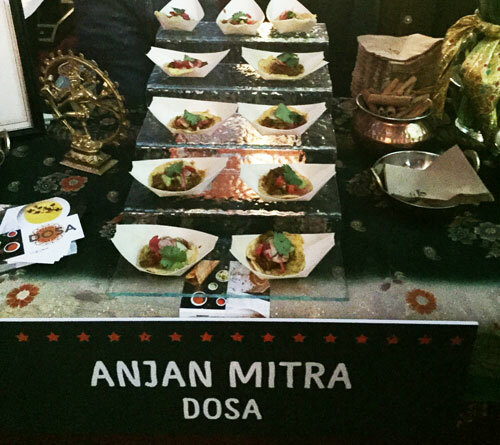 People’s choice winner, Dosa by Anjan Mitra. 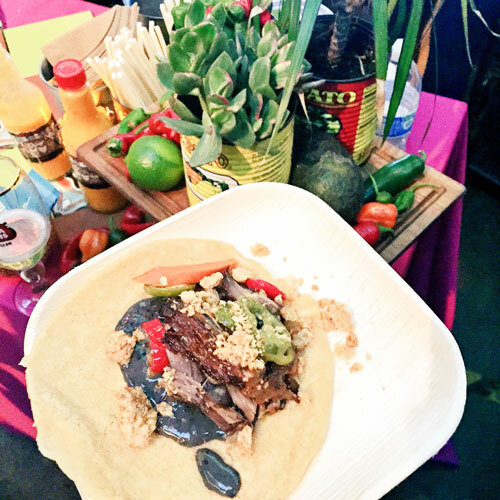 Such a delicious taco I understand how it won, I loved it! Bacon Bacon, another new Restaurant/Food Truck I discovered at the event. 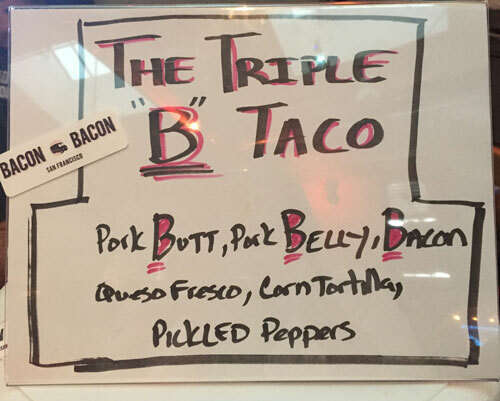 I loved The Triple B Taco!! 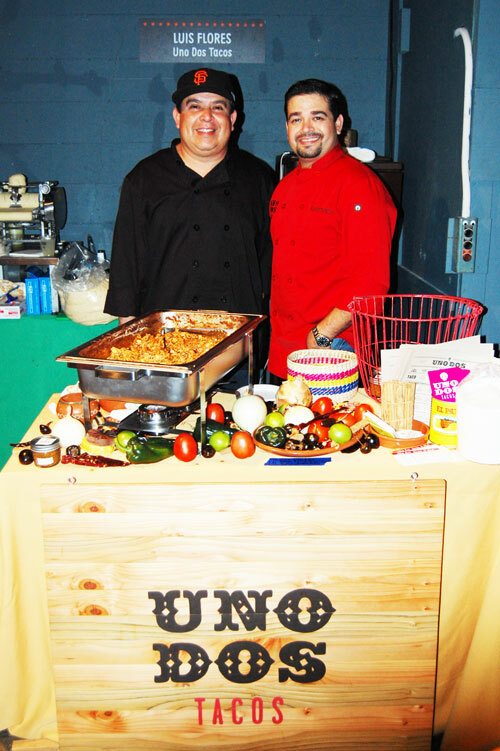 Chef Luis Flores of Uno Dos Tacos. One of the few Mexican restaurants in San Francisco I have yet to experience. 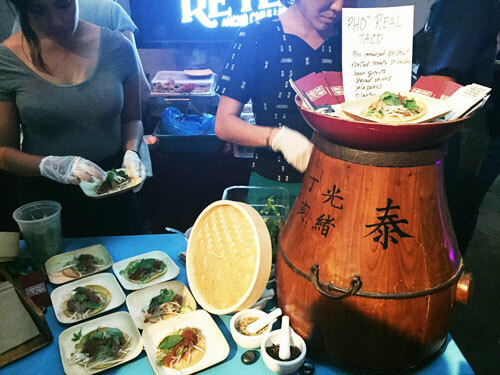 After enjoying their taco it’s next on my San Francisco Restaurant bucket list….. 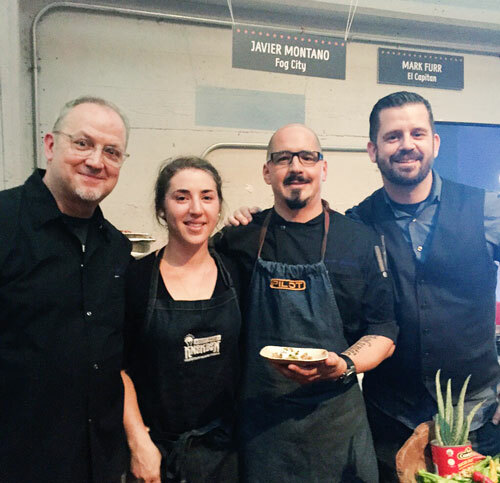 Cheers to the fabulous Fog City team and their delicious Taco. 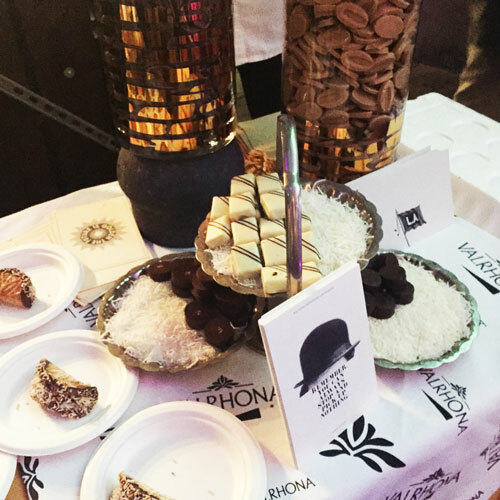 Loved the pineapple touch, so yummy! Ichi Ni Sushi Bar & Ni Bar. 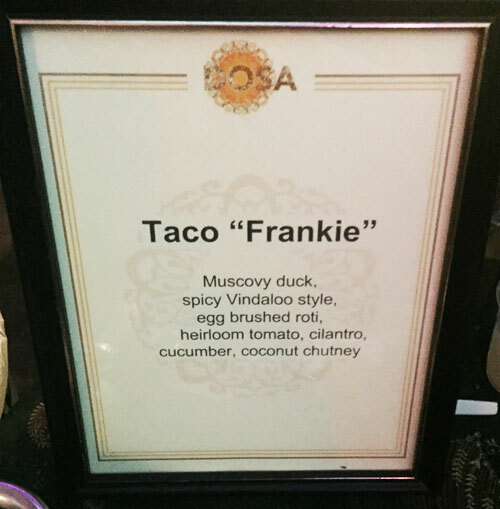 Another favorite Taco I enjoyed at the event! 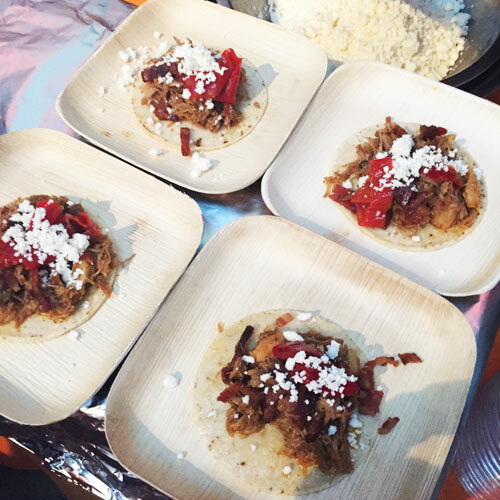 This was one of my favorite unexpected taco’s. 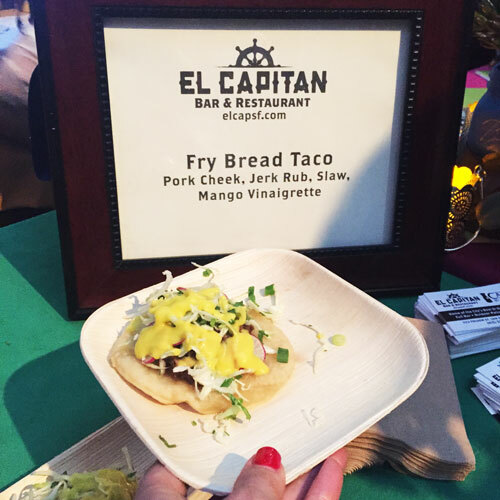 Quite surprising since I’ve never been to El Capitan but it was yummy! 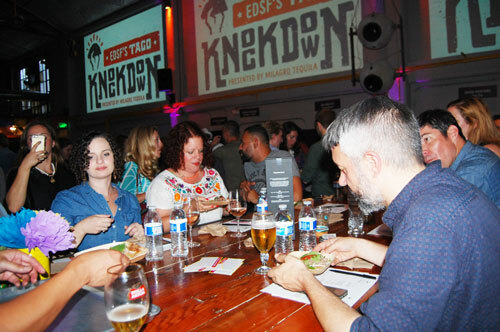 The judging panel hard at work tasting and reviewing the tacos. What a rough job! 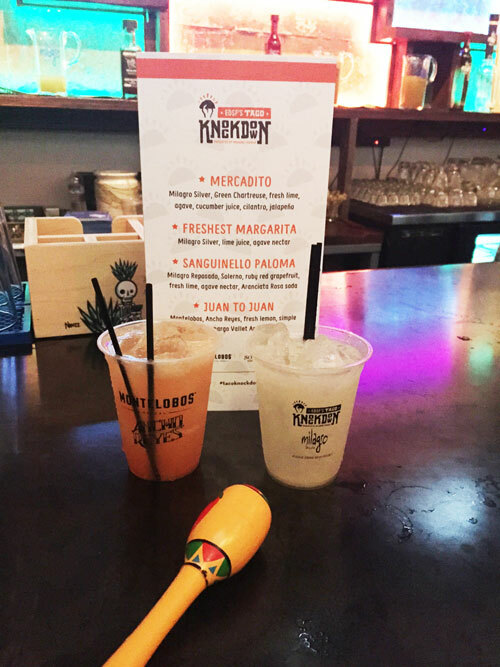 The amazing Margarita’s from Hecho, SF. So good I tried various flavors loving them all! 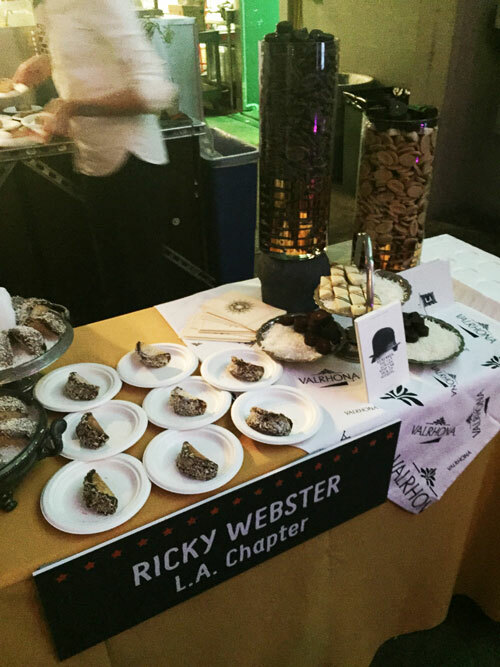 Ace Hotel’s LA Chapter. 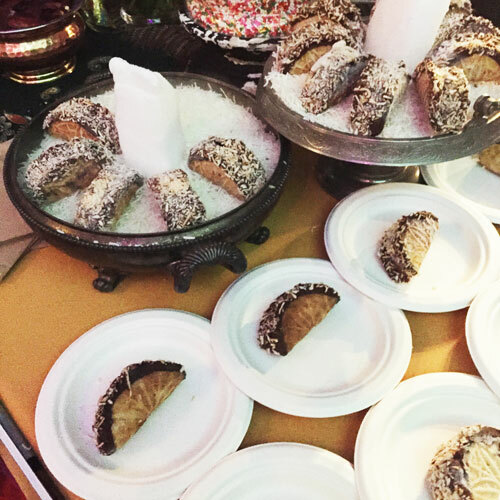 The only sweet taco at the event which was delicious…. 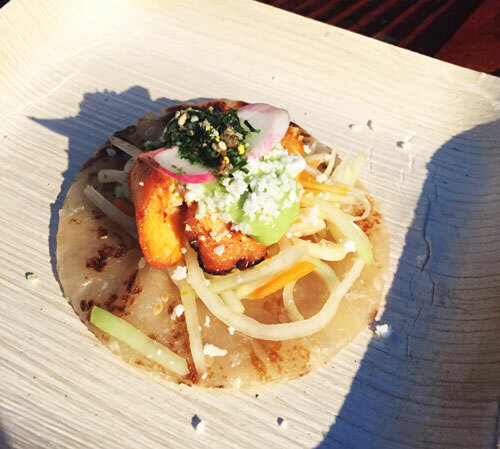 Pabu SF’s yummy taco. Look at the amazing presentation. Love it! 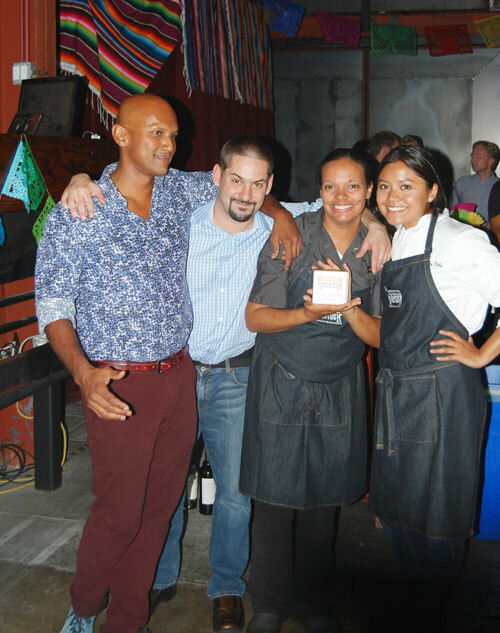 Congrats Anjan, Dosa’s Executive Chef & Owner on winning People’s Choice Best Taco. 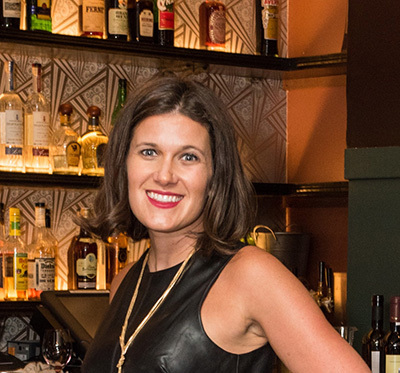 What an amazing Taco, Team and fearless leader! 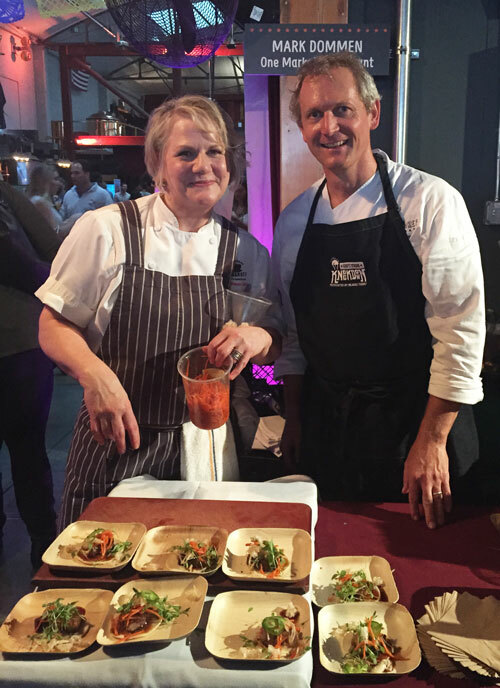 Thanks again to the Eat Drink SF Team, Golden Gate Restaurant Group (lead by amazing Gwyneth), Wagstaff Worldwide & DPEM Productions (Dominic’s fabulous team) for putting on this amazing event. As a Mexican Food lover this was a dream come true. 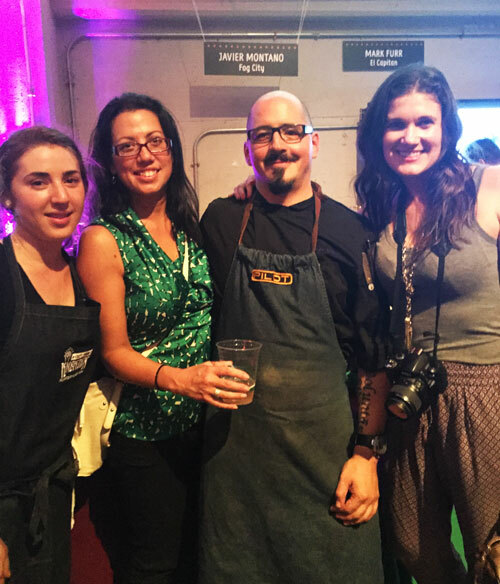 It was such a great group of talented Chef’s, Winemakers, Judges, Mixologists, guests and press all joining on a fun delicious evening. 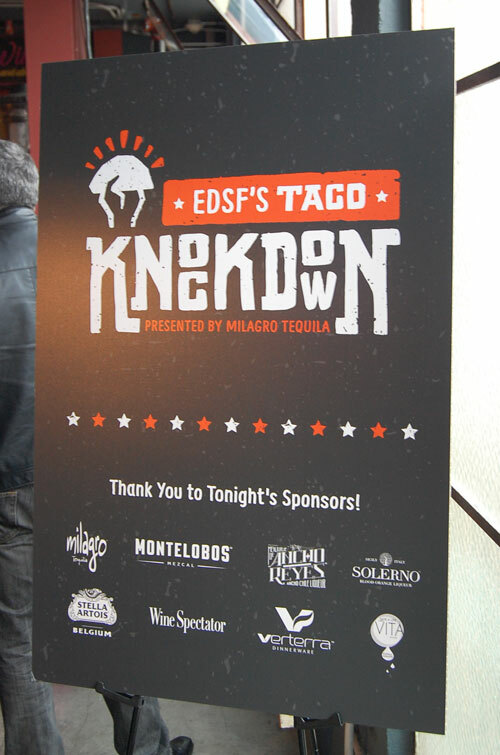 See you again next year Taco Knockdown…..